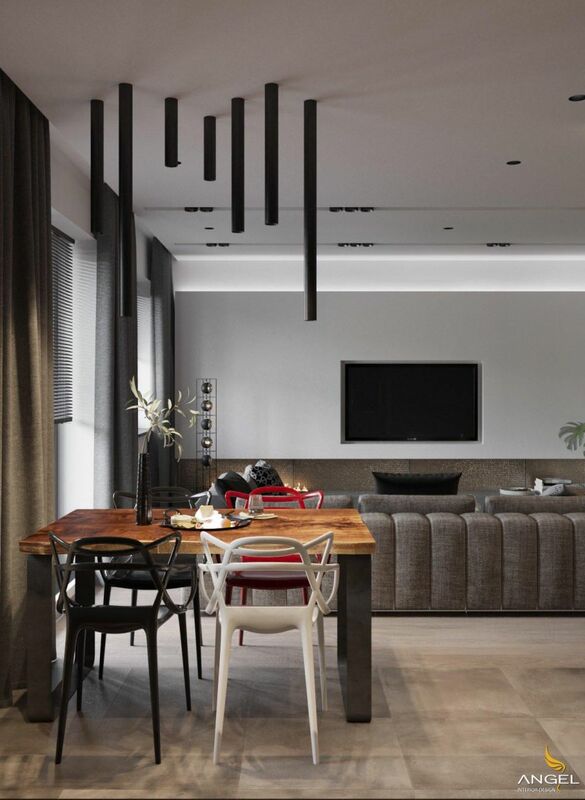 Interior design of modern apartment in the area of ​​120m2 will make you like the eye with harmony in each design space. 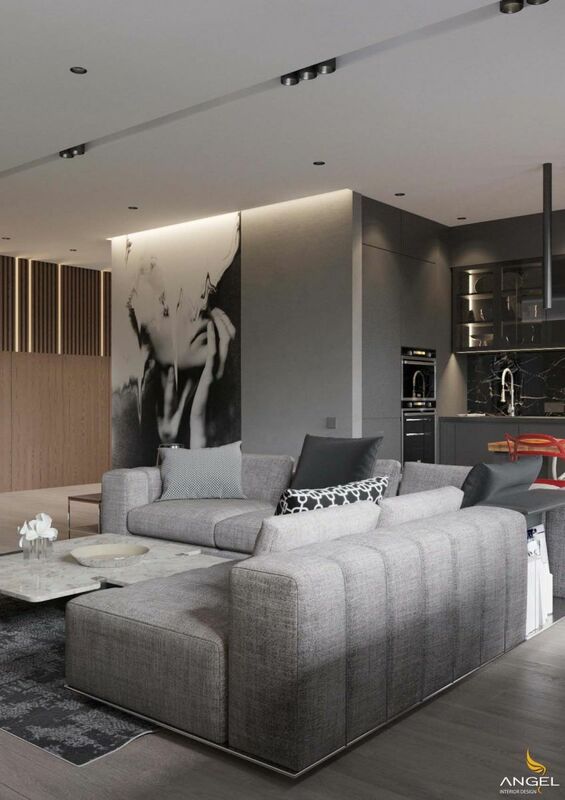 So why do not you choose the architect to design to get the perfect apartment? Take a look at one of today's most popular modern architectural products to see what they can do! 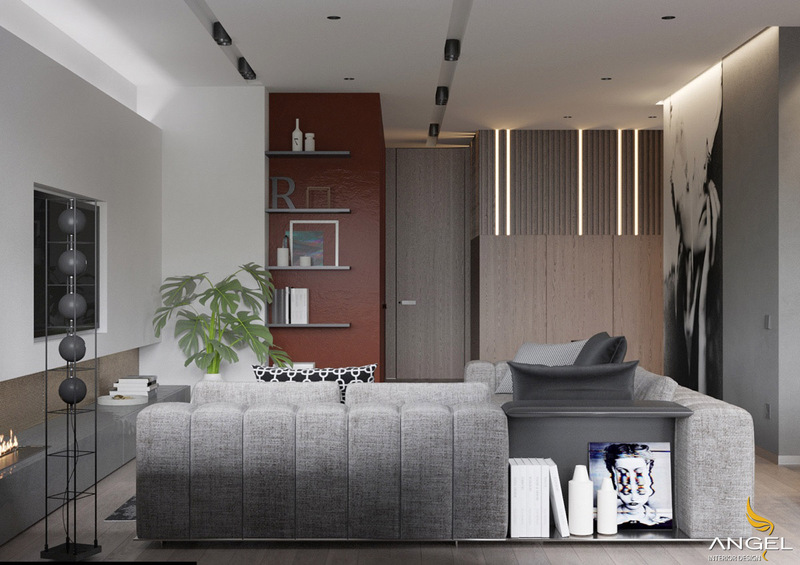 Gray is the main color for the apartment is designed quite sophisticated. It is a cool color space when in hot seasons. 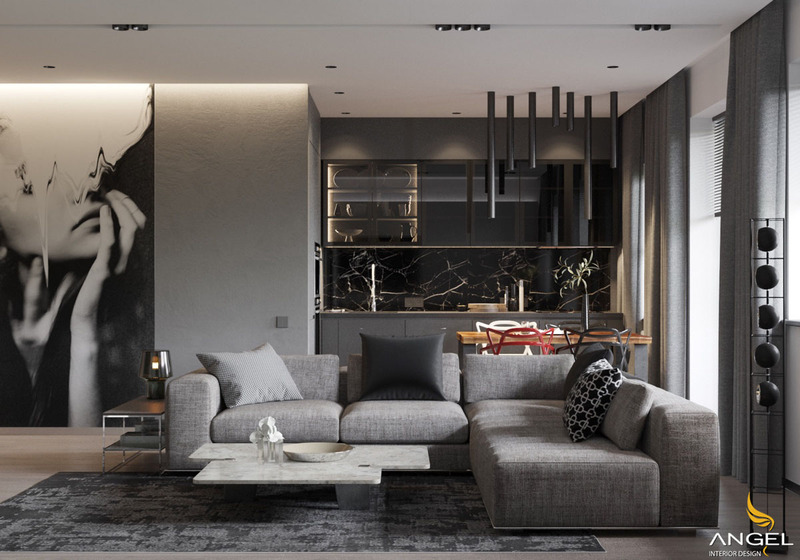 The oversized artwork in the living room, along with many gray tones, creates a simple elegance that will easily create a block to manage the interior of the apartment. Like any other natural, gray has a different ability to highlight other colors, as seen here with dark gray color and even the green of the house. 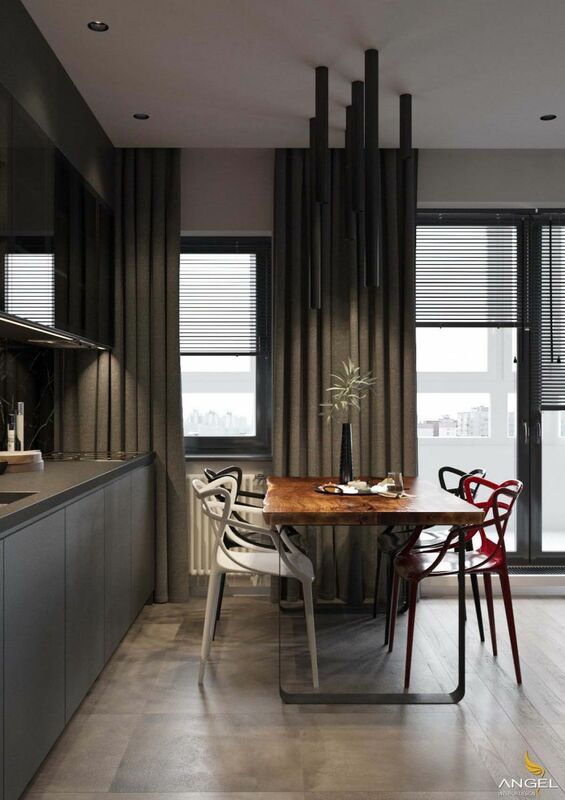 Gray is a lovely choice for window design methods, creating a softer effect than windows in this luxury apartment. The gray marble coffee table allows anything that interweaves, books or fresh cut flowers that you want to highlight to really shine. 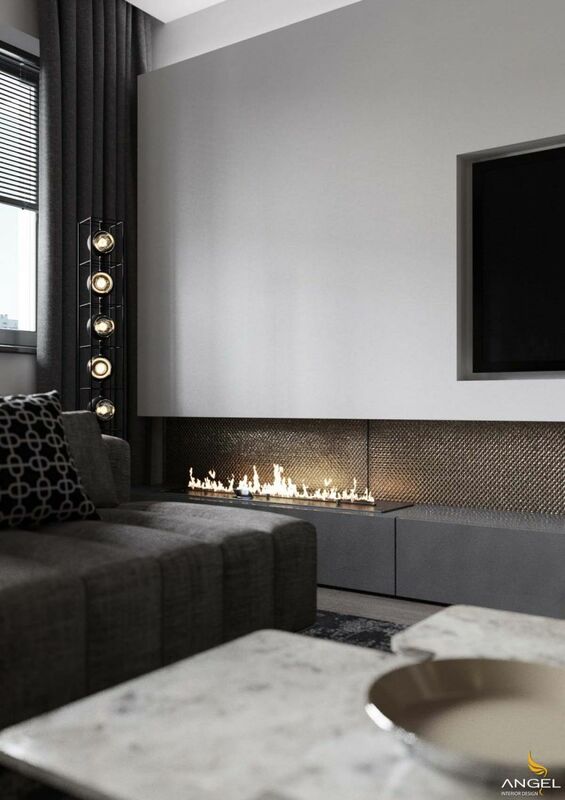 Even the brilliance of a modern fireplace is brighter because of its gray background. 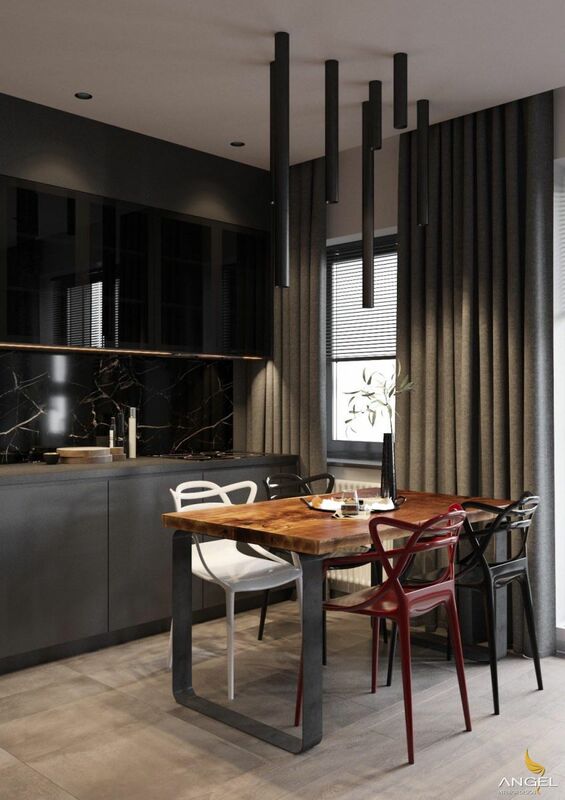 Gray is also an effective choice to create the beauty of unique pieces of art and natural wood to shine. 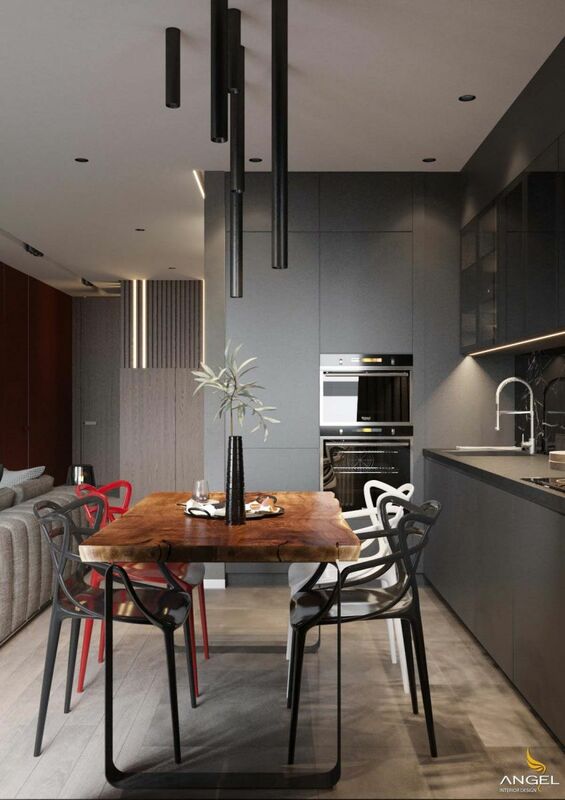 To really take advantage of the beauty of gray, you have to add brightly colored streaks at regular intervals, such as the red breakfast chair. 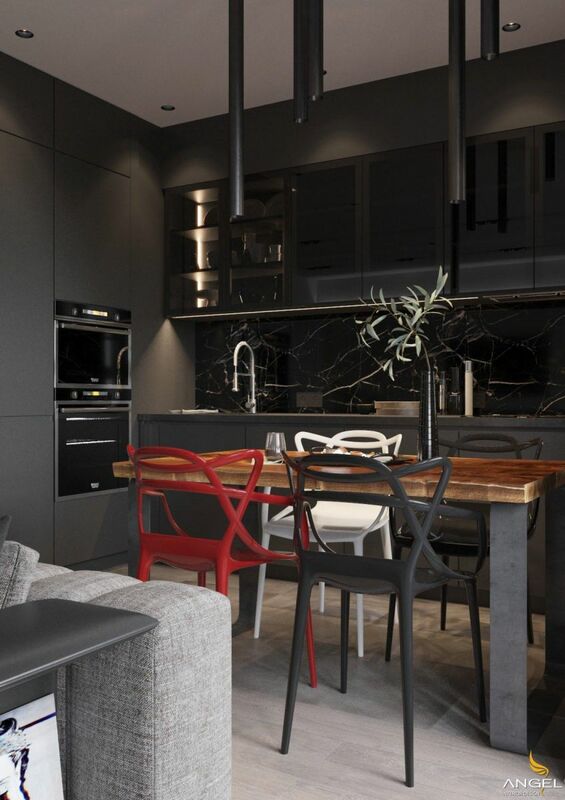 Attention will be shown in red and then be allowed to jump in black, white and gray in these perfect modern dining chairs. 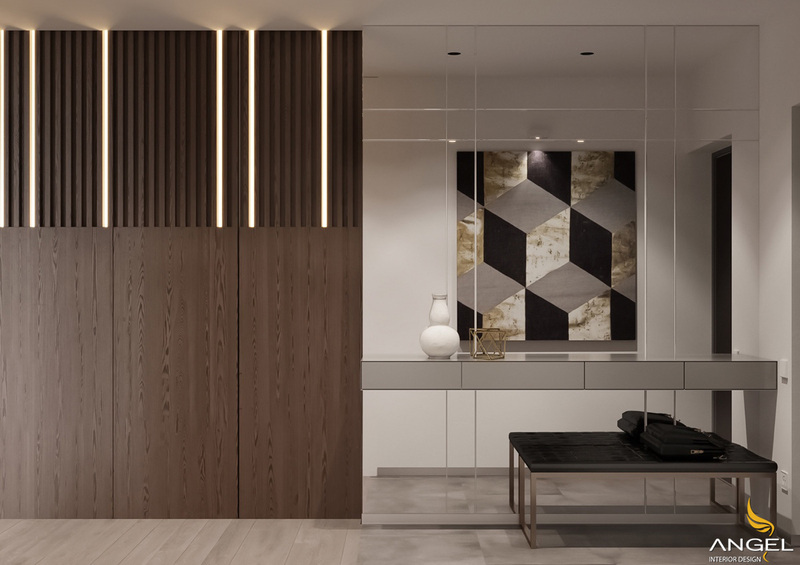 Natural wood panels appear elegant compared to gray curtains and luxurious tea sets. Even the soft green of the cut grass on the table is lit up by the surrounding landscape. 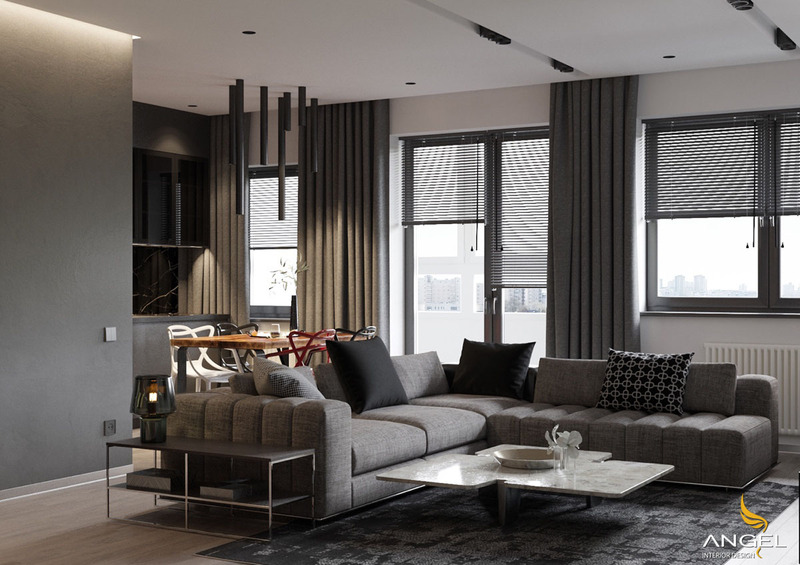 Innovative overhead decorative black furniture has a very modern feel in addition to the overall elegance of the interior. 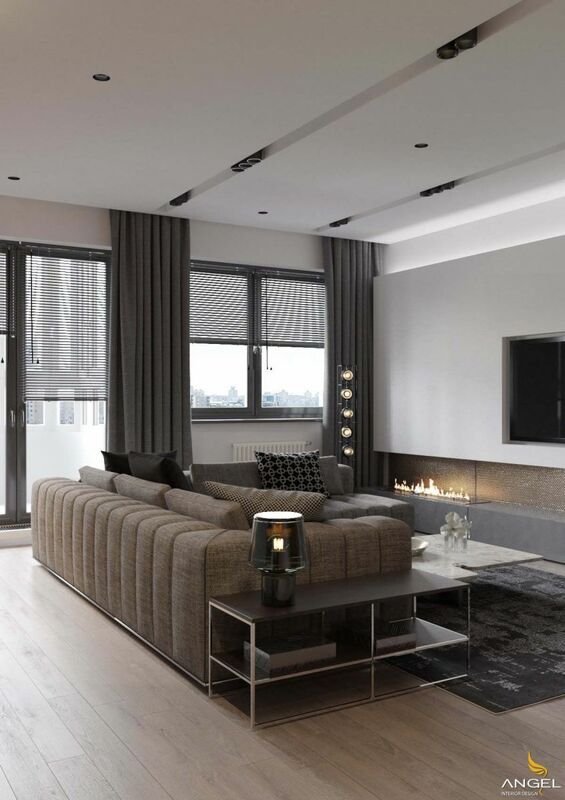 The open floor plans benefit from the gray, making the conversion easy from one space to another.